A man has died following a crash in Gunthorpe Road in Peterborough on Friday, July 28. 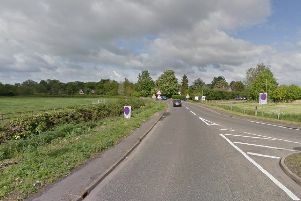 A Cambridgeshire spokesman said the incident only involved a motorcycle, and happened at 3.40pm. A spokesman for The East of England Ambulance Service NHS Trust said: “An ambulance crew, rapid response vehicle, ambulance officer and Magpas Air Ambulance were dispatched. “They treated a man who was not breathing and in cardiac arrest. The police have confirmed the motorcyclist has now died.